Eighteen-year-old Rachel Pernosky's body was found on March 19, 2013. Three years later, her half brother has been charged. A man has been charged in the three-year-old murder case of a Mission teen. Eighteen-year-old Rachel Pernosky was reported missing on March 16, 2013. She was last seen at her home on Kite Street. Police, search and rescue and volunteers began looking for the 18-year-old mother of one. Three days later, Pernosky’s body was found in Chilliwack, near Old Orchard Road. Search and Rescue crews were called in to help recover the body from the steep terrain. At the time, police said they believe the attack was not random. 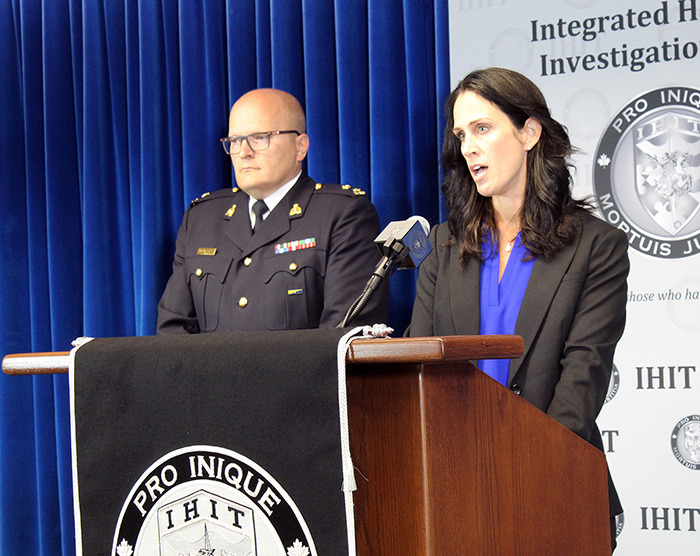 Today, (June 27) after a three year investigation, the integrated Homicide investigation Team (IHIT), along with the Mission RCMP announced that there was sufficient evidence to support homicide related charges against Rachel’s estranged half-brother. Matthew Joseph Pernosky, a 31-year-old Richmond resident, has been charged with second degree murder, as well as a second charge of indignity to a body by having sexual contact with and disposing of the body. “This is a tragic case that has left a family with many unanswered questions. From the onset, IHIT and Mission RCMP have worked collaboratively to follow the evidence and secure the charges you see today. It has been three solid years of drive and commitment from all of the investigators involved,” said RCMP S/Sgt. Jennifer Pound. Pound said that the suspect was identified as a person of interest early in the investigation. Pound also read a written statement, on behalf of Rachel’s family. “We are very grateful and relieved that an arrest has been made in connection with Rachel’s murder. “Rachel was a mother, daughter, sister, and friend. Rachel’s absence from our lives has left many broken hearts and great devastation. She is missed and remembered each and every day. She was a strong and beautiful young woman with her whole life ahead of her. Mission RCMP Insp. Ted de Jager said, while he was not involved in the original investigation, the arrest and charges is a step towards closure for all involved.